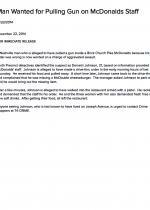 DECEMBER 23--Tennessee cops are hunting for a McDonald’s patron who pulled a gun on restaurant workers after complaining that his drive-thru order was short a McDouble cheeseburger. 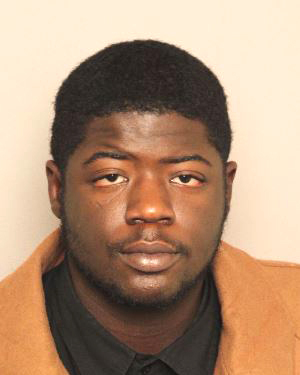 According to police, Demetri Johnson, 21, placed an order early last Thursday at a McDonald’s in Nashville. 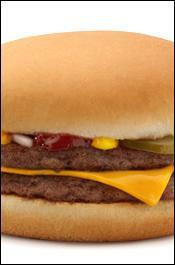 After receiving his food, he pulled away from the restaurant’s drive-thru lane. 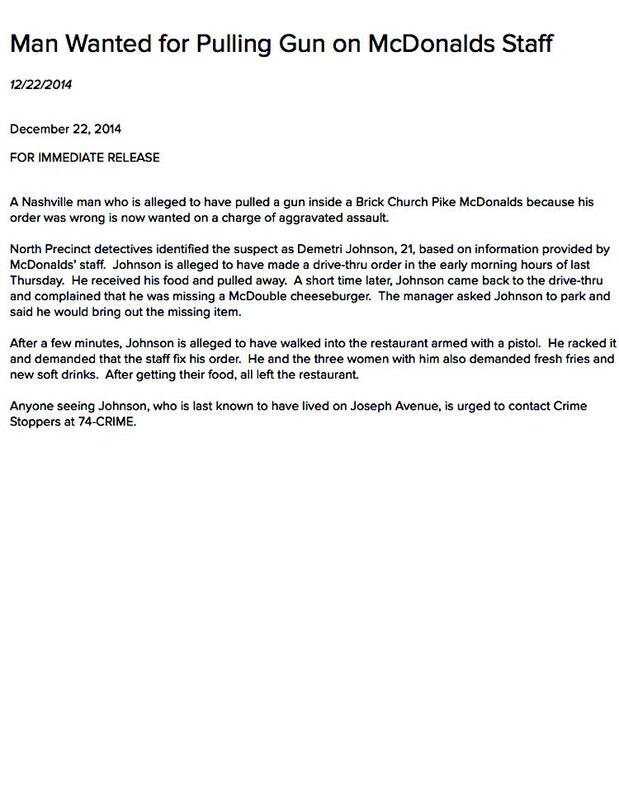 Detectives allege that after waiting for a few minutes, Johnson entered the restaurant with a gun in his hand. After racking the weapon, he demanded that his McDouble order be fixed. “He and the three women with him also demanded fresh fries and new soft drinks,” cops added. The quartet departed after receiving their food.